Are you doing everything possible to drop those few extra pounds just before the holiday season approaches, but not seeing the results you want? Well, fasting (intermittent style!) might just be the answer you are looking for! In its simplest form, fasting is spending an extended period of time without food. Everyone already practices some sort of fasting. It’s what happens when you hit the sack at night and wake up in the morning to eat your breakfast. That awesome meal that usually involves bacon AND waffles (right?!) breaks a significant fasting period, which is what makes what you eat at this time ultra important. Intermittent fasting is a program in which you plan your fasts. 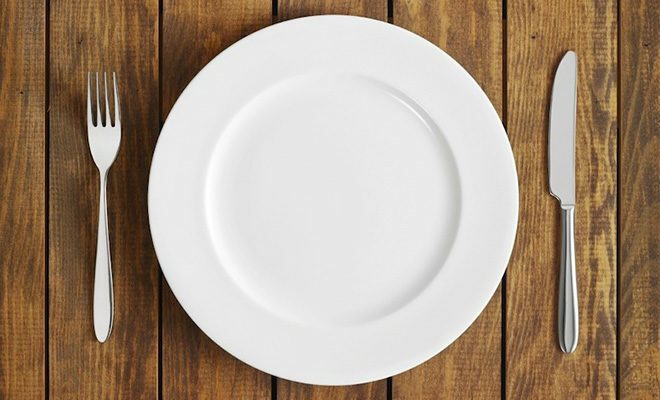 There are a few different forms of intermittent fasting. Some people elect just to do a 24-hour fast once or twice per week. Others firmly believe that you should enjoy your cheat day to the full extent. Go hard in the gym. Then start fasting, and fast for 24-36 hours. 36 hours may sound crazy, but keep in mind that a good bit of that is spent sleeping depending on how you have planned it. Others elect for a 16 hour fast and eight hour eating window each day of the week. This is the method I use. I love breakfast foods, but I just don’t happen to like breakfast. Most days I won’t have my first meal until around 11am, at which point I will break my fast with a post-workout shake. So, my eating window is 11am to 7pm. During that 8 hours, I usually eat four to five healthy, well-balanced, and portioned meals. This is a popular method for many who feel the same way about breakfast, especially those who never seem to have time in the morning. The 16 hour fast and 8 hour eating window can be whenever you want to suit your schedule best. You can eat from noon to 8pm, and then enact your fast. Or from 2pm to 10pm. What matters is that you fast 16 hours, as that seems to be the cutoff for when you really start to reap the benefits. If this method seems tough because you are restricted to only working out in the early mornings or late evenings (keep in mind that you want to break your fast with a post-workout meal), then the 24 hour fast once or twice per week is probably a better protocol for you. Intermittent fasting is NOT the same thing as going on a juice cleanse, or some fast cleanse. Juice fasts are a popular way for people to do a detox, but they differ greatly from intermittent fasting. With a juice fast, no real food is eaten and the actual juice fast can realistically only be sustained for around a week to two weeks. Intermittent fasting is NOT a way for you to justify binges, eating 2,000 calories above what you should be. Calories, above all else, still matter the most. 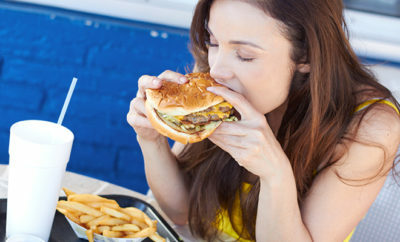 If you should only be eating 2,000 calories a day, you need to stick with that. Don’t overindulge or it won’t work. Lastly, intermittent fasting does NOT mean keeping your body in a constant state of starvation for extended periods of time- this is neither healthy or conducive to meeting your fitness goals. Again, if you should be eating 2,000 calories a day, eat 2,000 calories a day. Isn’t breakfast the most important meal of the day? Won’t I lose all of my gains, go catabolic, and lose my lean muscle? And what is considered breaking my fast? In short, no. It doesn’t work that way. During a fast, especially if you’re training fasted, you will catabolize some muscle tissue. That’s inevitable. That’s not the end of the world though. Your gains won’t disappear. In fact, muscle protein synthesis, or building muscle, may be higher in your meals after a fast. Breaking your fast is a bit ambiguous. Some say keep it under 100 calories and you’re technically still fasting. Others say just plain BCAA’s break your fast due to leucine signalling to your brain that you are “fed.” Regardless, it seems that coffee, water, some aminos, and maybe a tiny bite of something aren’t really going to break your fast or ruin the benefits of fasting. Fasting brings about some pretty cool hormonal changes in your body. It seems that those who fast wind up living longer and with better health, and a better physique! Fasting “resets” your hormones. Specifically, fasting impacts ghrelin and leptin, both of which are associated with hunger. Ghrelin tends to be present more when you’re eating, while leptin works in the opposite way. Leptin also plays a significant role in affecting another set of hormones that are released from the thyroid, namely T3/T4. These happen to be so powerful that some bodybuilders supplement with these hormones as a drug to get rid of fat. Fasting also helps with insulin sensitivity, which has benefits for pretty much everyone. Just like ghrelin and leptin, an increased sensitivity to insulin means that the system will work more efficiently. Which helps you drop fat, build muscle, and fight off diabetes. Fasting also prolongs the release of growth hormone (GH). GH is that magic hormone that you hear athletes injecting to recover faster, grow muscles that have muscles, and become generally better at everything. If that doesn’t make you want to increase growth hormone levels naturally, then you should also know that GH tends to offset cortisol. Cortisol is a stress hormone that in high quantities can cause excess fat gain. Making growth hormone awesome in terms of recovery and gains, but also fat loss. Fasting only brings about very temporary hormonal changes, just like weight-lifting. Just short-term changes themselves won’t make a big difference. But, after plenty of short-term changes overtime, these changes eventually become long-term, which means good things for your health and waistline. While hormones play a big role in fat loss, they’re not the be all and end all. Fasting aids in fat loss through other avenues as well. When you fast, you don’t eat, which means that your body has to find some source of energy, usually coming from fat. The average person generally has 90,000 calories of stored fat, so good luck burning through all of that. And even if you could burn through all of that, you definitely wouldn’t want to. Your energy would plummet, you’d be freezing all the time, and you’d probably die. Having some fat is pretty essential. But thanks to the excess fat burned just to stay alive, that means that all of the sudden your workouts and diet become that much more effective. Instead of a two pronged approach to fat loss that focuses on just diet and exercise, you now have three prongs waging war on fat for you. A less talked about benefit to fasting is the fact that it plays a major role in helping deal with hunger management, which is something all dieters are familiar with. If you diet, you’re going to eat fewer calories. It’s a fact of life. Fasting provides an excellent tool to handle those hunger cravings, increasing the success of dieting and the struggles that may come with it. There’s no hiding that fasting requires a high level of commitment, dedication to complete your fasts, and a little bit of craziness. It’s not for the guy looking to put on 30lbs of muscle. Nor is it usually for the triathlete who wants to qualify for a trip to Kona. If you have experienced an eating disorder in the past, you probably don’t want to touch it with a ten-foot pole. Fasting does happen to work for quite a few people though. The idea may sound absurd to you… but so did sliced bread to our great-grandparents. If your diet and exercise program isn’t giving you the results you want, it can’t hurt to give it a try. In the end, we’re all in this together. We all want to be happy, ripped, and healthy. Fasting just might be your ticket there.